Filing a medical malpractice case can be a very confusing process. As a result, there are a number of people who end up making a lot of mistakes after experiencing medical malpractice. Since it is difficult for them to grasp what needs to be done, those who experience medical malpractice ends up not having a proper investigation despite their request. It’s actually a fact that a lot of people do not know what to do when they or someone they know experience medical negligence. In fact, the Journal of the American Medical Association (JAMA) deemed medical malpractice as the top three leading causes of death in the United States of America alone. Last 2012, an estimated amount of $3 billion were allotted for medical negligence payouts only. This averages to about a single payout for every 43 minutes. It’s very alarming which is why it is essential to educate people on certain mistakes to avoid experiencing any medical negligence. Konvicka explained that medical negligence happens when a medical provider diverges from the acknowledged “standard of care” in the handling of a patient. The “standard of care” is described as what a rationally cautious health-care provider would or would not have done under the same conditions. The important thing is whether or not the medical provider was careless and inattentive in caring for their patients. Keep in mind that an adverse outcome cannot always serve as evidence for a case of medical negligence. There is a high chance that if your doctor knows about your medical malpractice claim, they would try to inject certain matters into your medical records for the purpose of minimizing your chance at a proper investigation of your medical malpractice claim. The best way to go about this is to find a new doctor or medical provider by asking for referrals. This is a good tip because you can have a better chance at a successful outcome in your claim. As soon as you file for a medical malpractice claim, you need to be able to get your hands on all of your medical records so that they do not get tampered with. Ask for a copy so that it can serve as your proof. With this, you minimize the risk of having someone alter any data on your medical records that may hurt your claim. Victims who have experienced medical negligence will often neglect the need to get further medical help. Keep in mind that your health is far more important than any claim or lawsuit. With that being said, it is important to seek for medical attention from a different medical provider. Keep up with your treatment and take care of yourself. 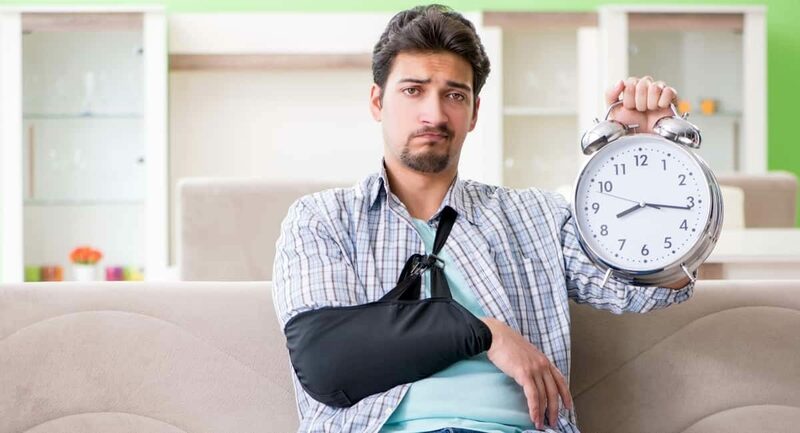 By doing this, you and your attorney can further understand the extent of the medical malpractice and your medical harm, which is actually a huge factor in any personal injury case. We all know that the human brain is not perfect. Nonetheless, memories fade and retrieving them does not guarantee accuracy. Because of this, you need to keep a journal and take note of all of the details of the incident and your injuries. This can greatly help with your medical malpractice claim. A medical negligence claim can take years to resolve. If you have a journal of all the important details concerning your case, it can guarantee you a fast and easy way of claiming your medical malpractice payout. When it comes to these kinds of cases, it is always important to bring a family member or a friend. This can serve as a witness too! Nonetheless, going alone and having an extended stay at the hospital puts you at risk of being under the influence of anesthetic or any form of heavy medication. If this happens, you’d be happy to know that you brought someone with you. Keep in mind that every state has different rules on the statute of limitations for medical practices. It is important to contact an attorney as soon as you experienced the medical malpractice incident. There are a lot of Murphy’s Law medical mistake lawyers that can help you with the proper procedures for filing this kind of lawsuit. Yes, filing a medical negligence claim can be confusing; however, these are what medical mistake lawyers are for! In addition to what has been said, you need to equip yourself with the basic step-by-step procedures of filing a medical negligence lawsuit. In addition, having knowledge as to the types of medical malpractice can also go a long way. This type of lawsuit includes failure to diagnose, failure to warn the patient of any known risks, and improper treatment. Anyone who has been a victim of these should definitely seek the aid of medical malpractice lawyers! Hopefully, this guide was able to educate you as to what needs to be done and what needs to be avoided during medical malpractice claims.